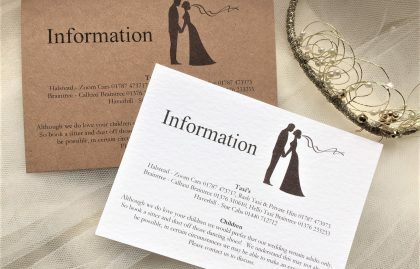 Finally wedding stationery is a modern attractive design suitable for all wedding styles. 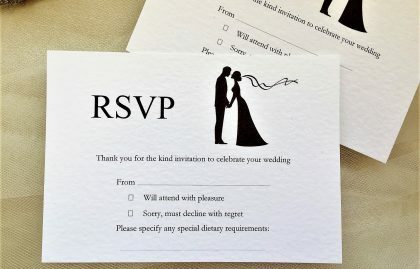 Invitations start from just 80p each with free envelopes and free guest name printing. 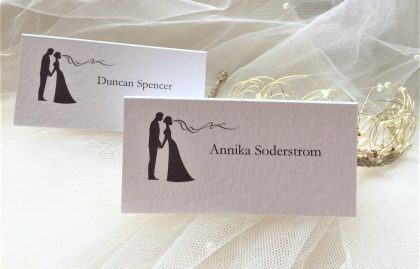 This range is available on white or ivory hammered card or brown kraft card. 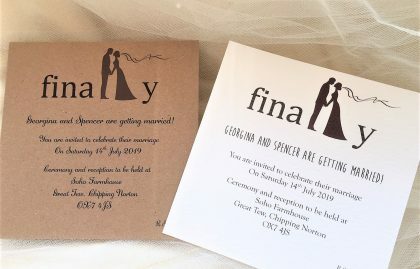 All wedding stationery items are available to match (although some may not be featured on the website). 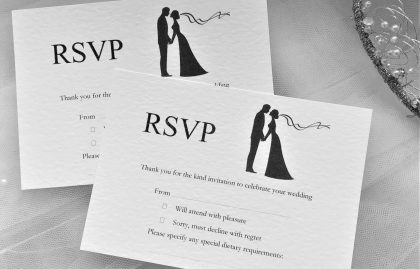 Including, save the date cards, RSVP cards, Guest Information Cards, Place Cards, Order of Service, Table Plan Cards, Table Numbers and Menus. 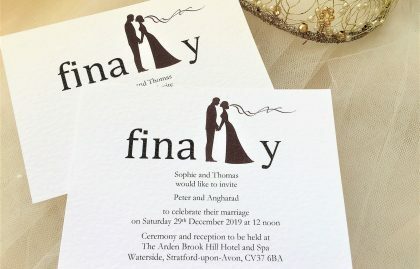 We can print whatever you wish in a font style of your choice.